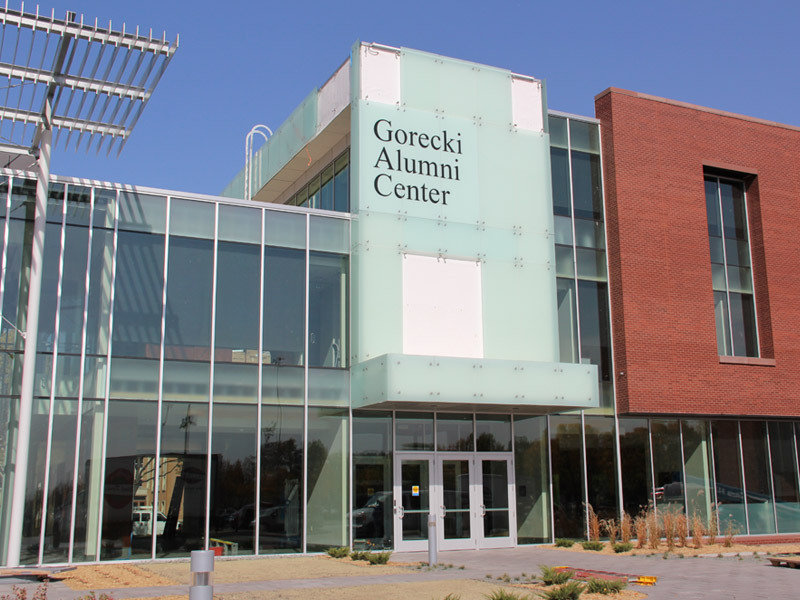 AE2S was retained to perform site design and construction phase engineering services for the new Gorecki Alumni Center on the University of North Dakota campus. 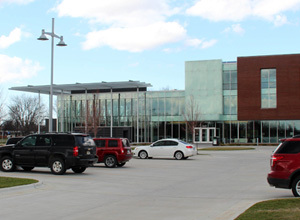 With the goal of achieving LEED Platinum status, the facility was designed with high emphasis on energy and environmental efficiency. 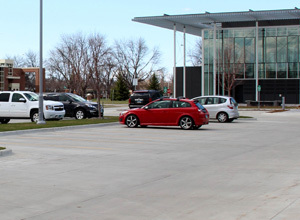 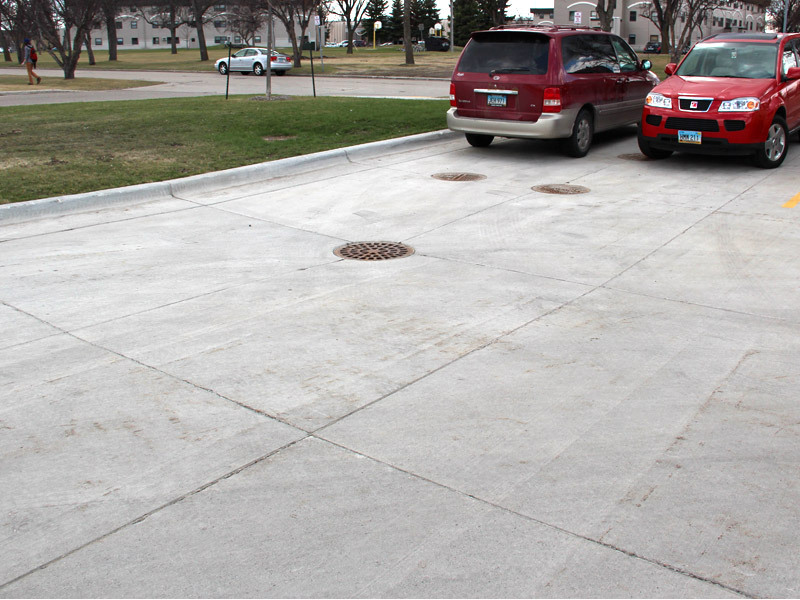 Parking space is at a premium on the UND campus, and with a need to provide parking for 80 vehicles, stormwater management was provided in the form of underground detention and infiltration chambers beneath the parking lot. 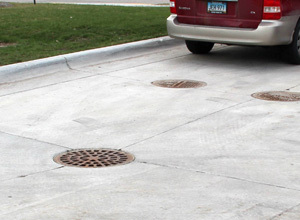 This stormwater management system provided both volume reduction and water quality treatment prior to discharge to the storm sewer system. 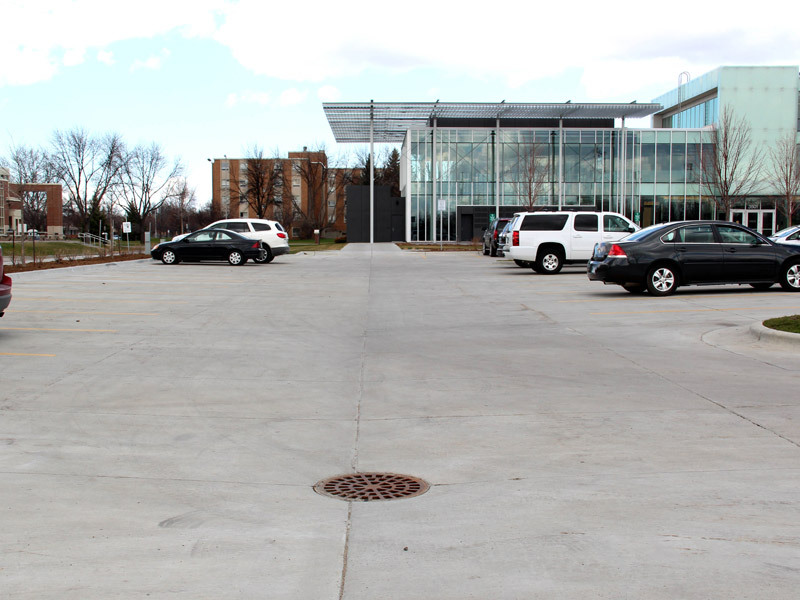 Another portion of the parking lot covers the geothermal well system, thereby providing very efficient use of the limited site. 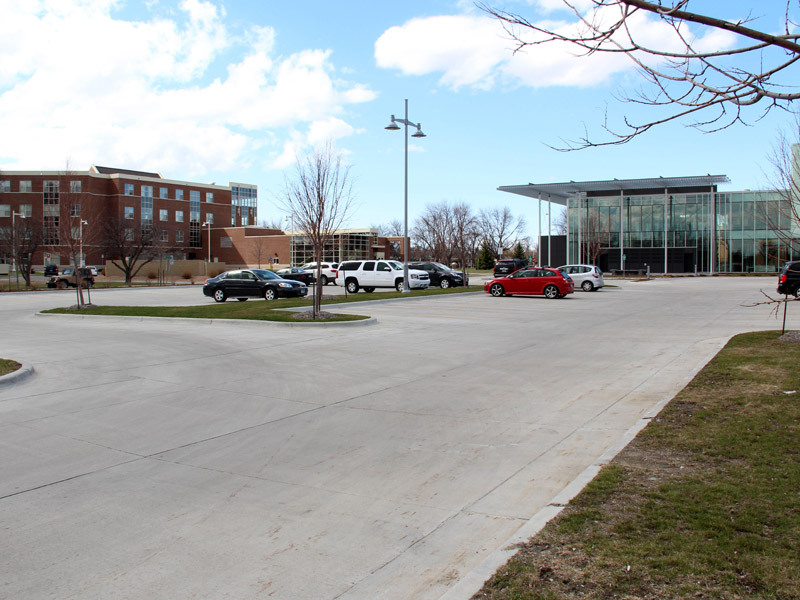 Sidewalks and shared use paths provide efficient connections to campus-wide systems, promoting pedestrian and bicycle traffic. 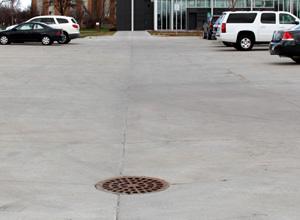 To maximize green spaces, a fire lane incorporates a “Grasspave” system which provides vehicular support while disappearing into the landscaped area for minimal visual impact. 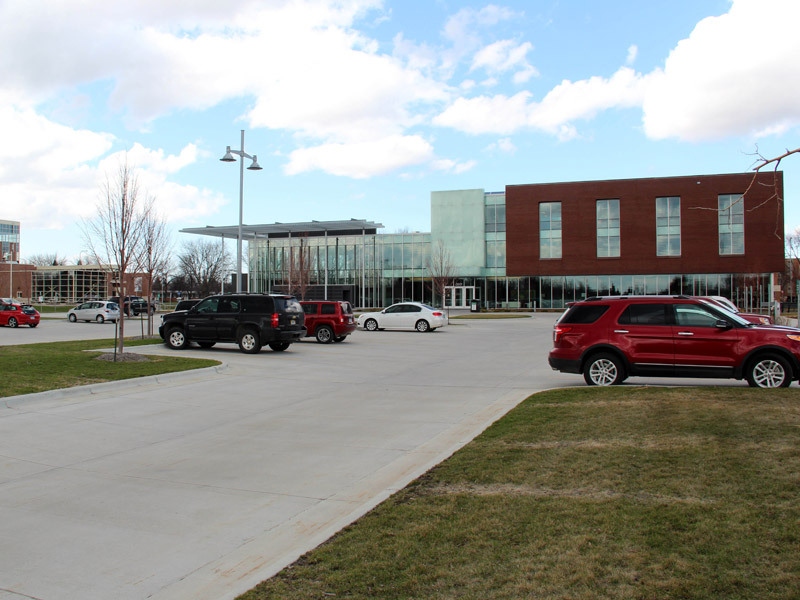 Landscaped areas were planted with natural turf and plant species to minimize need for watering. 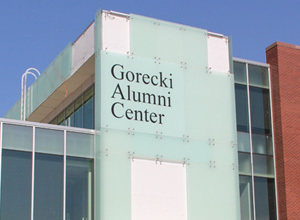 The facility was very well received by the Alumni Community and provides an educational example of sustainability and “Green” development.